Finally! 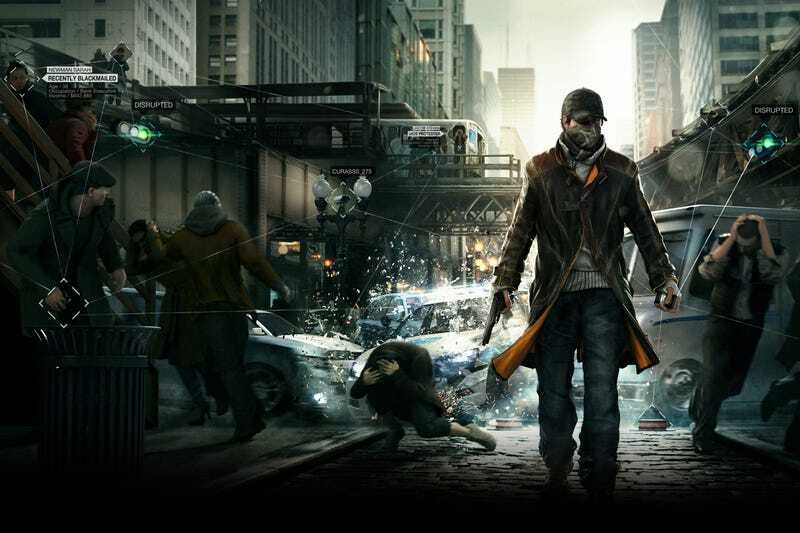 After disappearances, delays, downgrades, and other things beginning with the letter 'd', Watch_Dogs makes its début this week. Will you be hacking around future Chicago today? Pull up your creepy face scarves, get out your hacking superphone and talk video games in another edition of Tuesday Game Room! I finished Transistor this past weekend, and I absolutely fell in love with it. Which is weird, because I honestly didn't expect to. I didn't care much for Bastion when it came out, and even trying it out on the cheap in some old Xbox live sale a few years back, I could never get it to grab me so I didn't bother. Transistor, on the other hand, seemed much more appealing from the get go - and it hooked me for 6 delightful hours of my weekend with its touching story, its sublime and intelligent combat mechanics, and its gorgeous aesthetics, both in its looks and its utterly amazing soundtrack. It's clearly an evolution of the concepts SuperGiant laid down with Bastion, but it's just far and away a much better execution of them. You can read a few more of my thoughts on the game here (major spoilers at that link), but suffice to say, Transistor is my favourite game of the year - and it's going to take either Destiny or Dragon Age Inquisition being incredible to topple it at the moment. Spearheading this week of games is the long anticipated hack-all-the-things open world action game from Ubisoft, Watch_Dogs, out on PC, PS3, Xbox 360, Xbox One and PS4 right now. But that's not all! There's a triad of Vita games out too - Mind Zero, Monster Monpiece, and the Sly Cooper Collection - as well as the latest Telltale adventure fun with The Wolf Among Us Episode 4: In Sheep's Clothing on PC, PS3 and 360. Final Fantasy III HD, an upressed version of the 3D remake of FFIII for the DS hits Steam, as does A Story About My Uncle, and the PS3 gets the free-to-play dogfighter Ace Combat Infinity. Not to be outdone in being left out of the Watch_Dog's cross-platform party, Nintendo gives a middle finger to Aiden Pearce's antics and drives off into the sunset with the release of the latest Mario family racer, Mario Kart 8, for the Wii U. 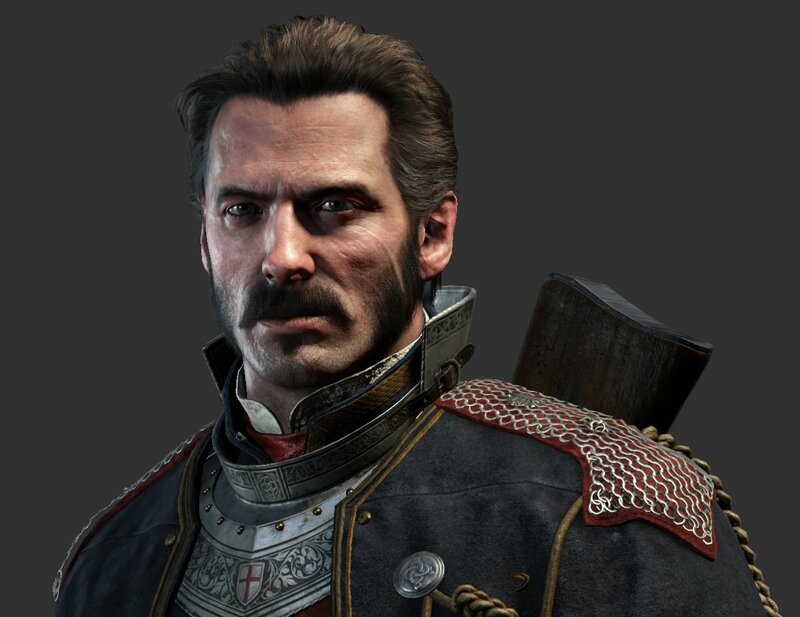 The Order: 1886 slips to early 2015 - Man, the delays don't stop coming for Sony's first parties. After DriveClub spectacularly missed the PS4 launch and slipped until this October, and cross-platform titles with strong Sony marketing ties like Destiny and Watch_Dogs both suffered delays, this time it's the turn of moustache simulator/Victorian Steampunk TPS The Order, originally due out as a tentpole of the PS4's holiday release schedule, falling back to 2015 to give Ready at Dawn time to polish it. Whatever it takes to get those photorealistic muttonchops, RAD. Garry Whitta, Telltale writer and Ex-PC Gamer Editor is writing a Star Wars movie - Okay not super gaming related, but frequent Giant Bomb/Tested alumni, writer behind The Walking Dead's Around Every Corner, and former editor for PC Gamer UK and US Gary Whitta, who is also an... ahem, extremely ardent Star Wars fan, has been announced as the writer behind one of Disney's upcoming Star Wars movie spinoffs. If no one utters 'Shoot that guy!' at some point, I'll be very disappointed. Epic have released a Flappy Bird clone.... in Unreal Engine 4 - Well, this is just plain weird. Tappy Chicken, created by a sole Epic employee to highlight the ease of use of their new Unreal Engine, is available for free on mobile app stores. The studio behind Unreal and Gears of War just released a mobile clone. What the what. A year after its disastrous launch, one man returns to SimCity - Paul Dean, who originally reviewed the game for Eurogamer, comes back to SimCity to see if it's gotten any better after patch after patch of fixes and changes. Spoilers: apparently not.